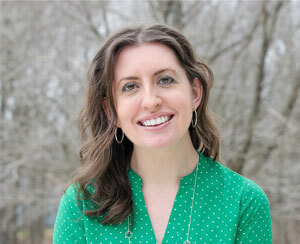 Where Does A Name Come From? 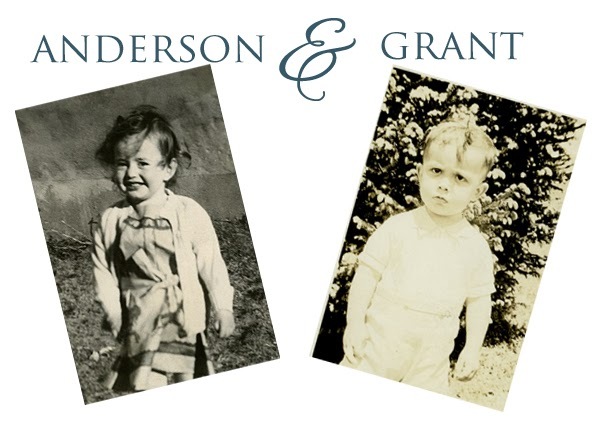 Since starting my blog, I have been asked many times where I came up with the name Anderson & Grant. It's a logical question and I thought I'd let you in on how I came up with the name. I will admit that I have a problem with liking things for lengthy periods of time....this explains why I constantly seem to be adjusting the design of my blog. I easily grow tired of clothes I buy, rooms that I decorate, or hobbies and habits that I start. When I began thinking about starting my blog, I knew that I would have to pick a name that had actual meaning so that I wouldn't be tempted to tire of it! So, Anderson is my mom's middle name and Grant is my dad's middle name. (Weren't they both cute kids?!?!) And to give even more meaning to the two names, Anderson was also my grandfather's middle name and my great-grandmother's maiden name, while Grant was my paternal great-grandfather's middle name. I thought that using the two middle names was perfect because both my mother and father are or were incredibly creative and talented people and their talents have inspired my creativity. I have always been encouraged to be artistic, whether it was drawing in a sketchbook, playing the piano or flute, or dancing on my toes as a ballerina. While I don't do much of any of those activities anymore, I'm still constantly striving to be creative while refurbishing furniture, creating a decorative display, or creating a craft with paint or clay. I'm incredibly grateful for all the opportunities my parents gave me and for their encouragement in whatever I was attempting. All of that has led me to where I am today, and what I am able to share with you. So I hope this gives you a little insight into the meaning of my blog's name.....For all my fellow bloggers, I'd love to hear how you came up with the name for your own blogs!